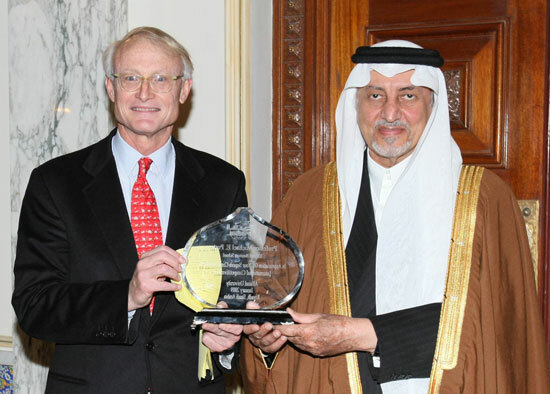 World renowned professor Michael E. Porter at Harvard Business School, on Tuesday 27th January delivered a special presentation at the late King Faisal’s Palace at an event where HH Prince Bandar Al Saud was pleased to announce the creation of the prestigious Michael E. Porter Chair in International Competitiveness in the College of Business. Professor Porter is considered the world’s leading authority on competitive strategy and the competitiveness and economic development of nations, states and regions. Among those who attended the event were dignitaries HRH Khaled Alfaisal, Chairman of Board of Trustees of Alfaisal University, distinguished board members and Alfaisal leadership. 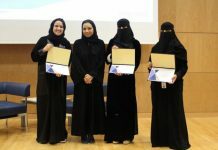 The event also brought together top executives in the corporate circles and the public sector, entrepreneurs, and Alfaisal University Business College students among others. The official announcement of the chair by HH Prince Bandar Al Saud was one the highlight of the evening’s event. The Chair is founded on the concepts of international competitiveness and strategy that Professor Porter has developed over his career. The Chair will bring national and international recognition to the university’s business program and provide future faculty in the Chair to conduct leading research and teaching in a discipline of importance to international competitiveness. Alfaisal University’s College of Business is preparing students to become leaders in international business, economics and public administration. 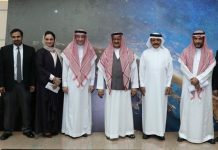 HH Prince Bandar noted that the university is committed to seeking leadership in education and aligning it’s objectives with those of the Kingdom saying “the chair emphasizes the multi-disciplinary nature of international competitiveness, and is the catalyst for the College of Business to advance the Kingdom and the regions prosperity and competitiveness”. Another highlight of the event was Professor Porters talk entitled “The Role of the University in Economic and Social Progress” which focused on universities being the true engines of progress in modern economies and societies as they are the critical places to train the leaders, the managers and the policy makers that help work and guide corporations. He saw Alfaisal University as playing a leading role in the international transformation that is taking shape in the Kingdom stating “This university is not just any university , Alfaisal University is being created to drive transformations…This university has very high aspirations and it is setting very high standards and wants to be world class. I want to offer my sincere congratulations to the founders and leaders who have taken this university to where it is today and it deserves all our support” he added. Professor Porter’s talk was well received and generated a lot of discussion especially among the Alfaisal students participating at the event. They engaged and challenged Professor Porter with questions that impressed the professor of the caliber of our students. Professor Porter later made several comments about the enthusiasm, commitment and competence of the students at Alfaisal University and having engaged with them surpassed many of his expectations. Acting Dean of the College of Business Professor Chris Shove said “I am very pleased to have him as our advisor for the Alfaisal University College of Business and for us to have partnered with the worlds leading strategist shows that we are committed in our mission of building national and international partnerships to become a world class research university, and our students today have proved they have the excellence and support in becoming our future leaders”. Spokesperson for Alfaisal University, Saphia Ikram said “for Alfaisal this is a matter of great pride as we partner with the renowned Professor Porter and take yet another step towards making our educational mission a reality. We are a private non profit teaching and research university that aim to be a world class institution by offering the best through international and national collaborations”. “We are enormously excited about the establishment of the Porter Chair, as this will open new paradigms of educational excellence for students in the kingdom, and provide research and teaching opportunities for future faculty and will further position us to lead transformations taking place in the Kingdom”, she added.